Hampton Automotive supply interesting quality used cars throughout the west country and across the UK. 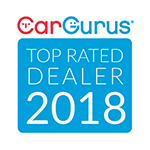 Established by Brothers with over 40 years automotive experience, we predominantly source interesting cars with high specifications and full service history. All our cars are HPi Checked, a copy of which can be supplied on request and come with a comprehensive warranty which can be extended. Further more all vehicles receive a full health check, MOT and Service where required and come with a fully detailed valet. Due to the nature of our business we can occasionally be away from the showroom collecting cars so please call in advance to arrange an appointment before travelling. Click here to get in touch with Hampton Automotive - quality used car retailer of Bridport. 3Complete the secure online form and we’ll do the rest?